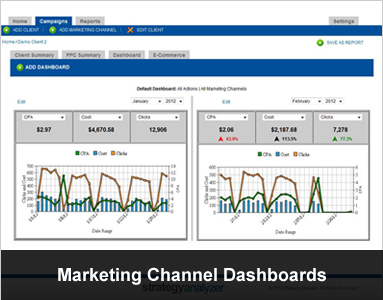 Marketing Dashboards and Campaign Reporting Automation! 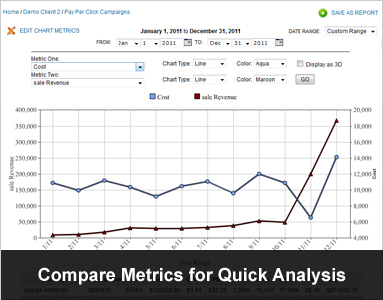 Save Time: Generate Month-end marketing reports for all channels, with the touch of a button. Increase ROI: Easily identify profitable marketing channels and increase your return on investment. Present Professionally: Create PDF reports in seconds. Combine all of your marketing campaigns without confusing spreadsheets. Set Alerts: Keep your KPI goals on target. PPC, SEO, Social Media, Email, Direct Mail, TV, and Radio campaigns KPI alerts. 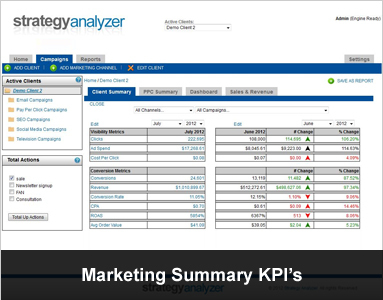 How do you currently perform your marketing reports? Agencies can save time and effectively monitor campaign performance using the Agency Dashboard. Automate your reporting on key performance data and use your time optimizing accounts & increasing ROI. Are you interested in white labeling Strategy Analyzer with your own company logo and become a resale partner?